on November 11, 1808. 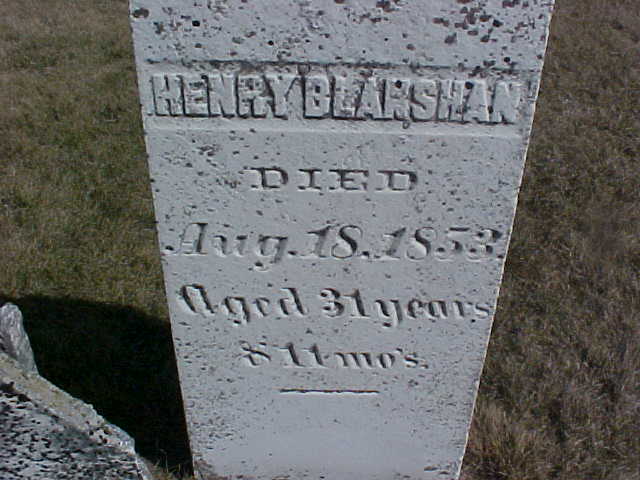 Mathew appears in the 1820 federal census as Mathew J Blanshan. and two females living with him. He has one male age 16 - 18, and one female age 10 -15. 1856, Aged 82 yrs., 4 ms., 8 days" next to the headstone of Peter. Silver Creek, Sheboygan County, Wisconsin. Jemima Blanshan - born November 12, 1805, baptized in Bloomington on January 7, 1806. She married John Halwick and they had at least one child, George G. (1838). Jane Ann Blanshan - born August 13, 1812, baptized August 23, 1812. 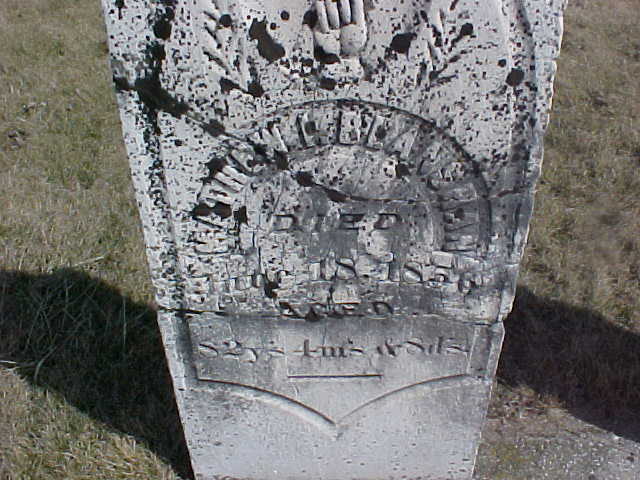 Jacob Smedes Blanshan - born May 11, 1814 and baptized in New Paltz on June 25, 1814. 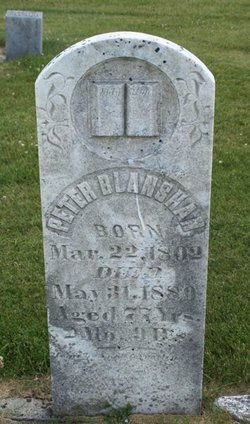 Catharine A. Blanshan - born January 7, 1816 in New Paltz and baptized February 11, 1816.
said that he "had measles, wrapped himself in a sheet wrung out of cold water and died."